Dr. White is Vice Chair and Professor of Critical Care Medicine at the University of Pittsburgh School of Medicine. He holds the UPMC Endowed Chair for Ethics in Critical Care Medicine. He directs the University’s Program on Ethics and Decision Making in Critical Illness. Dr. White’s research program focuses on improving decision making for patients with acute life-threatening illness. He has published more than 100 peer-reviewed research articles. 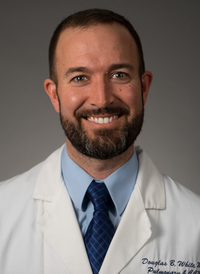 Dr. White has received several awards for his scholarship, including induction in the American Society for Clinical Investigation, the Grenvik Family Award for Ethics from the Society of Critical Care Medicine, and the Distinguished Research Mentor Award from the University of Pittsburgh School of Medicine.